Five two-year-old race for Monday. I will try to keep this as brief as possible because I am trying to do a million things at once. 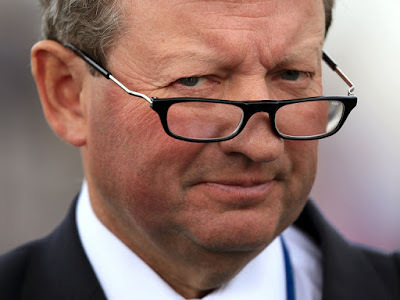 Mark Johnston has been in very good form and details the only significant entry for with Aisling. This race type is restricted which usually favours proven form horses.Big Ace ran well last time out and looks a tough horse to beat. However, Johnston's daughter of Dream Ahead - a very cheap buy - has been given an entry of note so it will be interesting to see how she goes. Once again, Mark Johnston has the sole entry here with Hard Forest. A wide draw isn't ideal. She must be held in some regard by connections as received a couple of entries including a Listed race. This American-bred daughter of Hard Spun has looked a short runner but ran ok on a couple of occasions. She was readily outpointed at Yarmouth although the form of that race has been franked. Has plenty of pace so may try to get to the rail from this high draw. A slight concern about her tiring in the final furlong. From a statistical point of view, True Mason could go very well. A wide draw isn't ideal. He ran in a decent race on debut and may have been bogged down with the mud or slightly in need of the run. The stable have been out of form which doesn't bring confidence but their fortunes will change sooner or later. Definitely one for the short list. Cosmic Law was the more fancied of the two Fahey runners at Doncaster, where the outsider of the two prevailed. Cosmic Law was slow away from the stalls and never really involved. However, this son of No Nay Never stayed on in the closing stages without being pressed. I was quite taken with that effort and a horse who will progress. If drifting to each-way prices is worth a small bet. Quite an interesting race. Richard Hannon's Come On Leicester cost 360,000gns at the breeze-up sales and ran well when making her debut at Ascot. 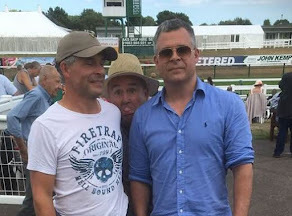 She has a plum draw in stall one and a recent entry for the National Stakes Listed races gives the impression this should be a stepping stone to bigger fish.Whether you want to jump in at 4/5f is the only concern. Definitely the horse to beat. Gay Kelleway's Elieden was a bargain buy at the breeze-up sales. An excellent purchase at £4,000. Interesting to note this small filly was entered to run at selling class but also higher profile races such as the Lily Agnes, a Class 2 contest and the National Stakes Listed. She was sent off a huge price on debut at Chester. A wide draw and slow start didn't help. However, she ran very well, finding trouble in running down the straight, but finished with some verve. There is always a chance she could have been slightly flattered. Recent entries suggest connections fancy she has ability. A wide draw isn't ideal here and she wouldn't be helped by another tardy start. If starting on terms, could well hold each-way claims at 12/1. The favourite looks hard to beat so if betting you may be wiser to have a point on the favourite and Elieden and just hope the jolly has a disaster. Richard Hughes has a number of two-year-olds. They often struggle to win but show form. Kadiz traveled well on debut but went a stride too fast and looked to hate the testing conditions at Salisbury. If back to her best, could hold claims. A wide draw isn't ideal but she should have the pace to sit handy if her rider chooses. A hood has been applied which is a slight negative.